When I found this chest, I knew it needed work but was hesitant about how far to take it. 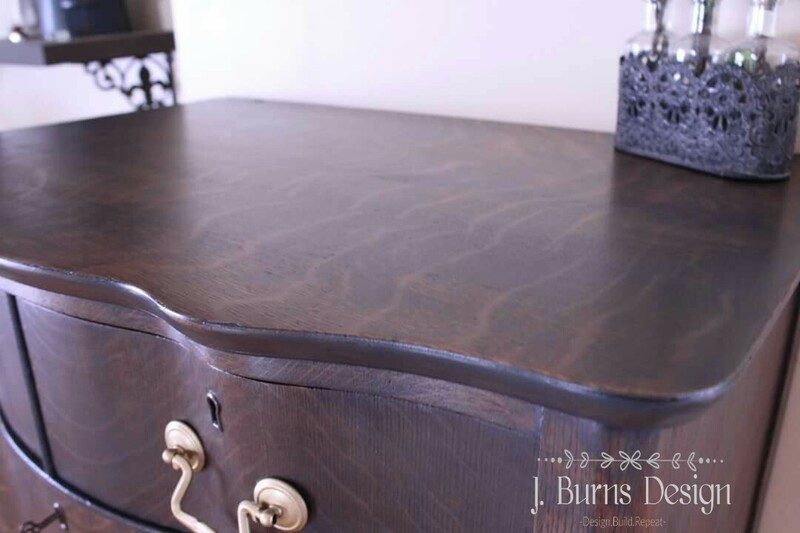 I do love the gorgeous grains in wood and the history of quality antiques. 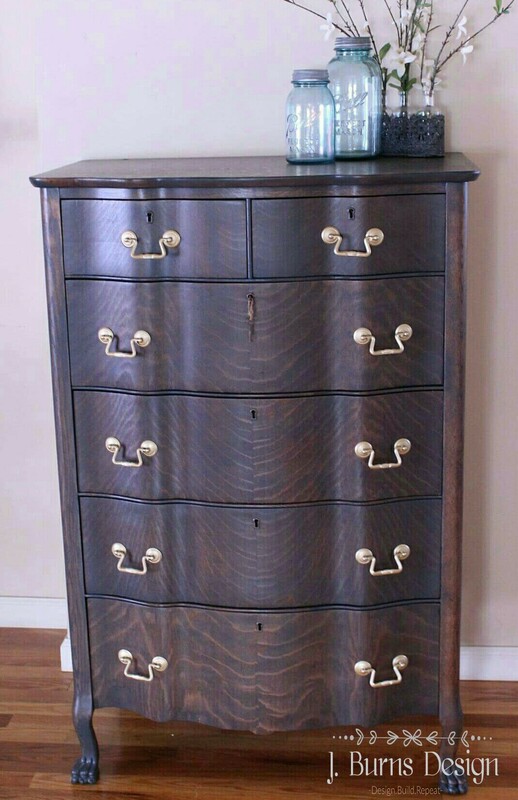 This chest of drawers was badly damaged, but it had some details you don’t usually see. Serpentine chests are always unique and this one also had claw feet, hand carved grooves under each drawer front and quarter sawn oak. With all those details I knew I should probably get a second opinion on it. I of course asked a few friends familiar with antiques, one of them being Dan Elman. If you ever have questions, he’s a plethora of knowledge and he’s just good people. It was in pretty bad shape as you can see. Most of the drawers were falling apart, the shellac finish was damaged beyond repair and some of the veneer was coming up. I started by making all the repairs to the drawers and veneer. Then decided to strip off the old finish with Soy Gel Stripper. 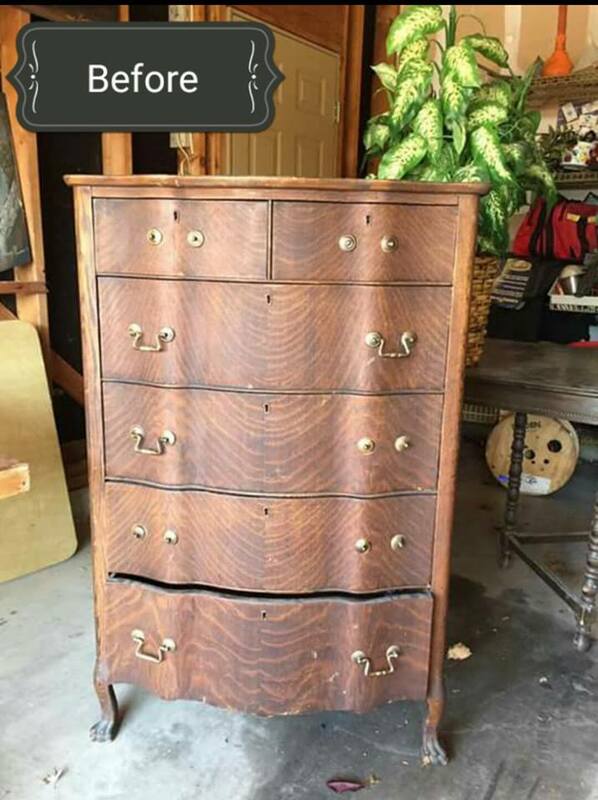 The chest had layers of old shellac that over time in the sun/heat had turned to an “alligator” look. It’s fairly common for old pieces finished with shellac to become damaged over time. Shellac was used often to finish, but it doesn’t stand up well to changes in temperature or being exposed to direct sunlight. When it’s exposed over the years the finish becomes like alligator skin and sometimes cannot be repaired. After two coats of Soy Gel Stripper, I finally got all the damaged finish off this old guy. I cleaned well with warm water and dish soap and dry rags. It really had some gorgeous grain under all that gunk and I wanted to keep the grain showing. I also wanted to tone it down a bit. The grain was just a little overwhelming and needed just a touch of color to bring it back. I chose two colors of Unicorn SPiT colored gel stains for this. Weathered Daydream and Midnight’s Blackness were mixed to make a cool toned charcoal grey. I used a clean lint free rag to rub the stain in all over the drawers and dresser to get an even color. I let that dry and brushed on two coats of Old Master’s polyurethane in antique satin sheen. 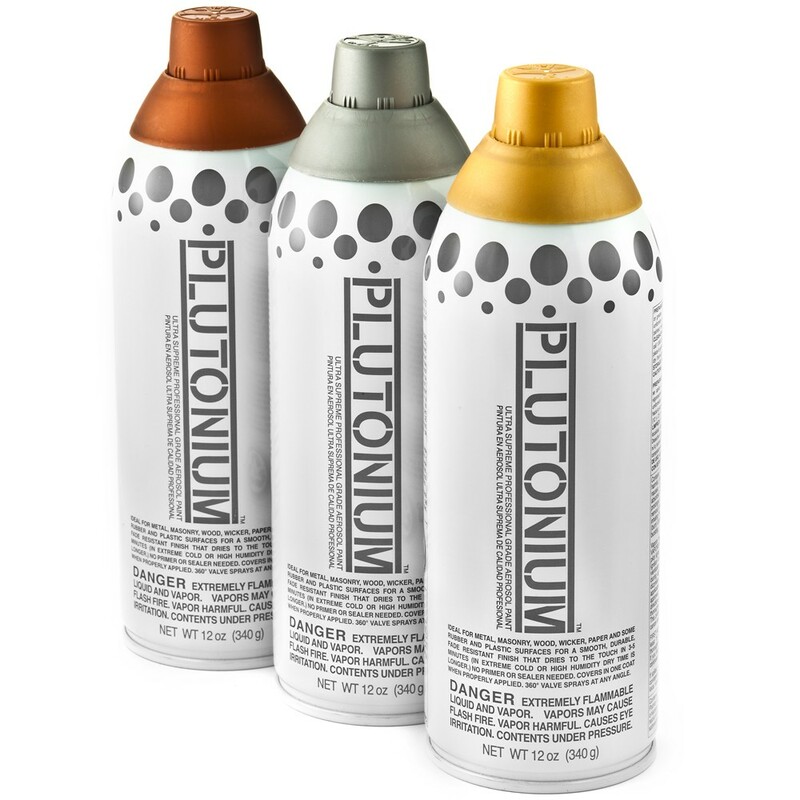 I also refreshed all the hardware after scrubbing with a wire brush and some barkeeper’s friend I sprayed two coats of Plutonium spray paint in 1st Place. I finally lined the inside of the drawers for a clean finish with some thick card stock paper and a coat of Old Master’s. As I was pulling the drawers out again to put the finish on, I found the original keys taped up inside the frame. This never happens to me! WOO HOO!! 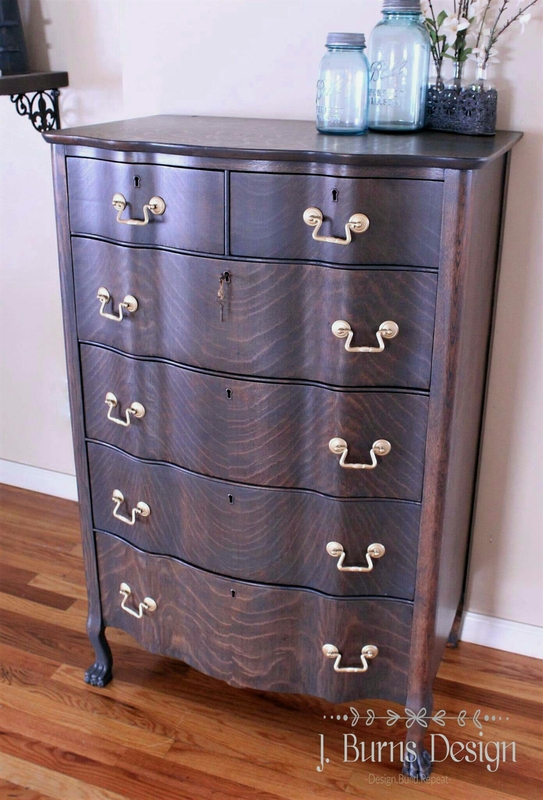 I love how just a little color brought this old chest back to life. Now that you’ve seen a little of what I’ve been working on, I want to also share with you something new! 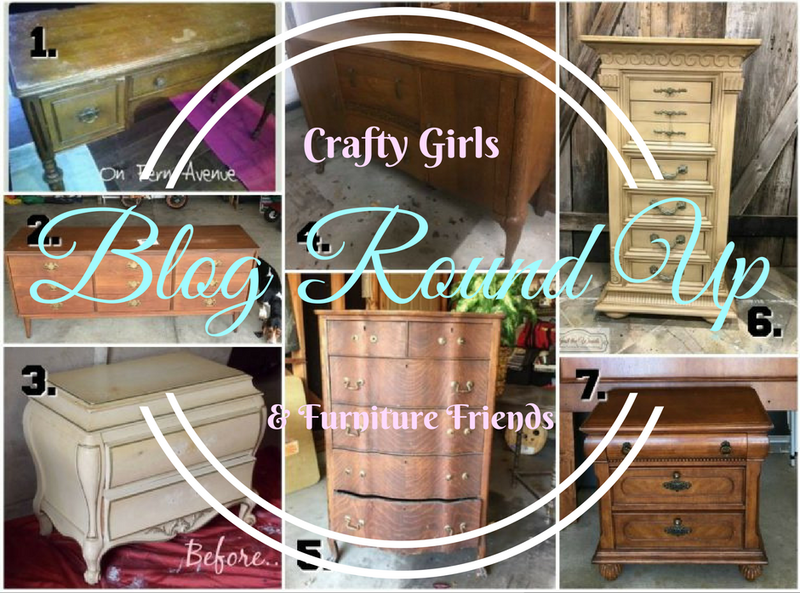 A few friends and I have been teaming up for monthly projects to share with you in our Crafty Girls and Furniture Friends group. Make sure you click on the link under each photo to see what the rest of this great group of creative women are up to! Beautiful work again, Jen!! 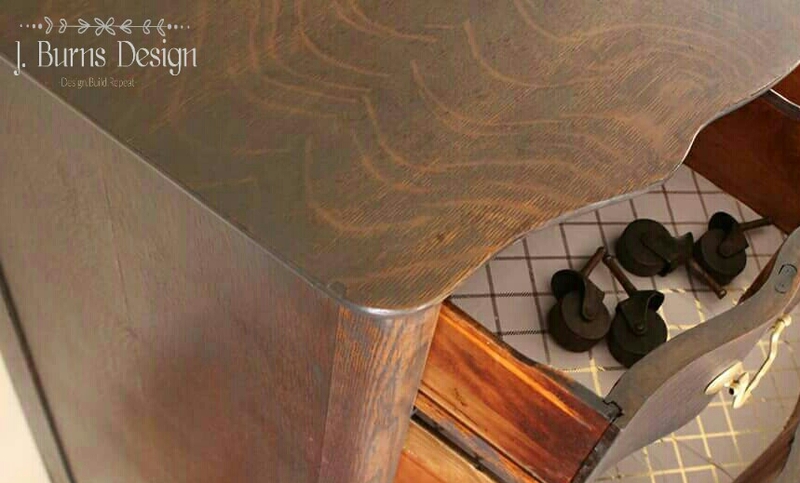 You treated that vintage piece with respect and care and brought out its gorgeous grain with your labor-filled love and a perfect use of product! Incredible! The new finish looks amazing. And I can’t believe you found the original keys! What a find! I adore Serpentine pieces such lovely curves. Beautiful refinishing job Jen, I love that this was stained over being painted just look at the lovely enhanced grain on this! Great makeover!